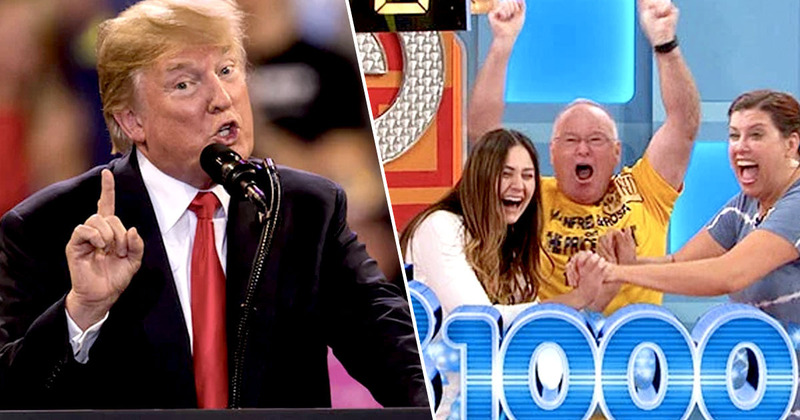 Television broadcasting company CBS cut away from US President Donald Trump’s televised address on his national emergency declaration, to return to the show The Price is Right. All other broadcast and cable news networks carried on covering the declaration and press conference, which followed on Friday afternoon (February 15). However, CBS decided to cut away after just 21 minutes before the event was finished, going back to the game show where contestants guess the prices of everyday retail items. President Trump was speaking from the Rose Garden of the White House, announcing he was declaring a national emergency at the border to build barriers to guard against illegal immigration. The announcement from the POTUS was said to be delayed from its original 10:30am start. It’s a great thing to do because we have an invasion of drugs, invasion of gangs, invasion of people. The networks confirmed they’d carry the speech, which comes amidst the ongoing partial government shutdown. In 2014, all broadcast networks declined to air then-President Barack Obama’s address on immigration, because it was considered too political, as reported by NBC. CBS News report the White House assured the network Trump’s speech would run no longer than eight minutes. However, his speech started at 1:10pm and finished at 2pm, which meant it went on for a lot longer than expected. 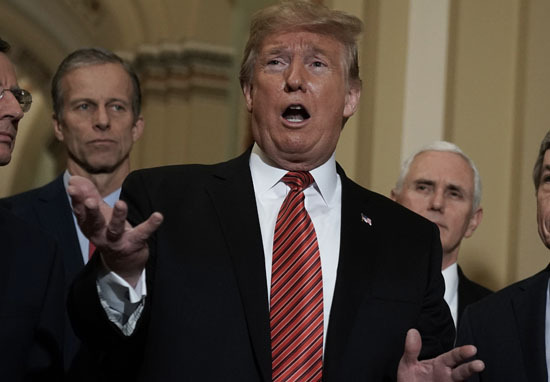 With Trump announcing a national emergency, it’s thought the move will allow him to spend $8 billion building his wall, after he’d signed a bill to avoid a second government shutdown, following his standoff with Congress. However, Pelosi and Schumer claimed there’s no ‘crisis’ at the US/Mexico border, and said they’d defend the spending power of Congress. The President’s unlawful declaration over a crisis that does not exist does great violence to our Constitution and makes America less safe, stealing from urgently needed defense funds for the security of our military and our nation. After 21 minutes, CBS just cut away from Trump’s speech and has gone back to the Price Is Right. This is plainly a power grab by a disappointed President, who has gone outside the bounds of the law to try to get what he failed to achieve in the constitutional legislative process. To be fair, The Price is Right is definitely a more entertaining watch… then again.